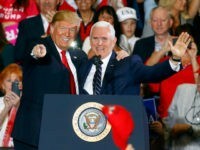 President Donald Trump has put a spike in yet another Obama initiative by ending Michelle Obama’s beloved “Let’s Move” kid’s health program and revamping it to emphasize organized sports. 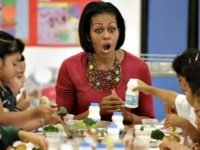 A top school lunch reformer for the Los Angeles Unified School District (LAUSD), who received praise from former first lady Michelle Obama, has been charged with 15 felony counts, including embezzlement and misappropriation of public funds. 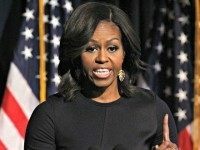 Friday in Washington, D.C. at the Partnership for a Healthier American 2017 Healthier Future Summit, former first lady Michelle Obama blasted “partisan” critics of her 2010 “Let’s Move!” program to combat childhood obesity, which included regulations on school lunch programs. 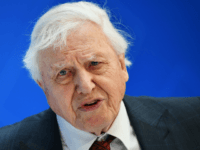 U.S. Secretary of Agriculture Sonny Perdue is easing some of the restrictions former First Lady Michelle Obama worked to enforce in school lunch programs throughout the country. 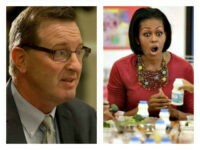 Bay Area public radio station KQED is mourning Barack and Michelle Obama’s departure from the White House because of their contribution to healthy food awareness, as well as their elite food tastes. 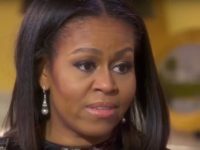 First Lady Michelle Obama is celebrating the success of her crusade to restrict children’s eating habits, insisting that she has proven the critics wrong. 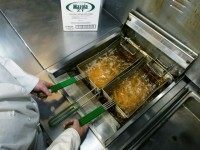 Students heading back to public school next week expecting a side of French fries may be surprised to learn the only thing deep-fried in the Texas Agriculture Commissioner’s school lunch plan are its federal ties. Michelle Obama is back in Hollywood. 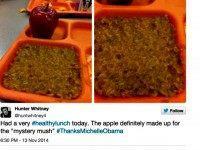 As part of her European tour to promote “Let’s Move,” First Lady Michelle Obama boasted during a visit to Milan that American school children were eating better, thanks to her fight against obesity. Michelle Obama is making the rounds to promote her “Let’s Move” campaign against childhood obesity, which is turning five years old. Still, the overall childhood obesity rate remains at a constant 16.9 percent from 2008 through 2012. 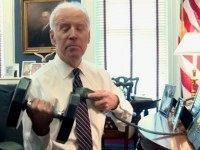 A White House Vine post has Vice President Joe Biden doing bicep curls in celebration of Michelle Obama’s “Let’s Move” campaign, which has mostly “fizzled,” according to the Washington Post. 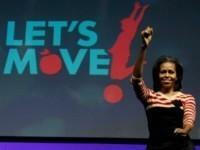 Michelle Obama is “going Hollywood” with her “Let’s Move” health and fitness campaign. Last year it was ice water, this year it may be exercises for your core. 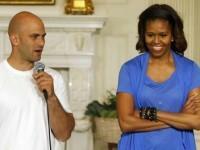 Michelle Obama tried to make burpees go viral. Before she set out to change the diet of everyday Americans, Michelle Obama says she first focused on eliminating boxed mac and cheese from her family’s diet. Michelle Obama says her campaign for healthy eating has roots in the actions of an earlier activist First Lady, Eleanor Roosevelt. 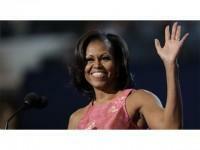 Michelle Obama says she’s confident she can help change the eating habits of an entire generation of children. With the holiday season behind us, many Americans are vowing to eat better and get in shape. 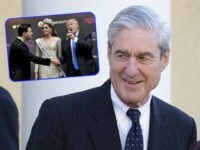 And the federal government is, as it is in so many other ways, only too happy to help. The White House has unveiled Debra Eschmeyer, co-founder of the group FoodCorps, as executive director of Michelle Obama’s “Let’s Move!” program. The title of senior policy adviser for nutrition policy has also been bestowed upon Eschmeyer.